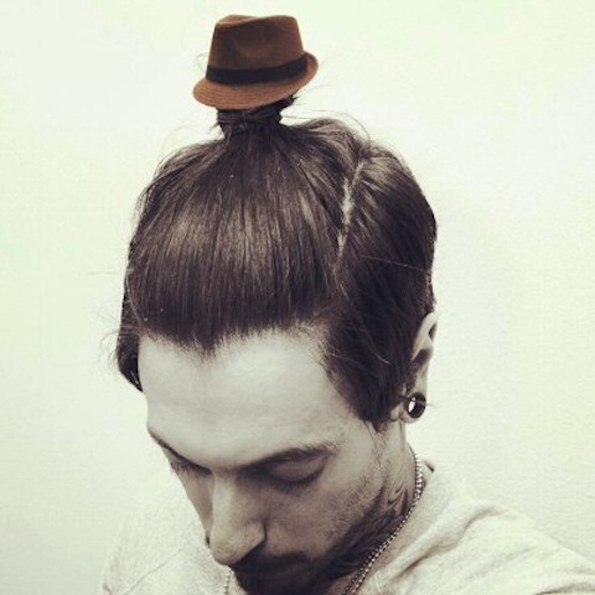 The Capitol Hill Seattle blog posted this photo of a guy modeling a man bun fedora. They warn readers to expect the look to be showing up all over the city this fall. There’s not really much more to say, but there is so much to do. We’ve gotta start preparing for the end of times. This is it, guys! It’s a sign! Just like famine, plagues, earthquakes, and all that horrific stuff. But, you know, way, way worse.